The colors were just what I was hoping for -- light to add a hint of natural blush, not a color that I don't usually 'blush' in. Thank you! It also feels nice and clean, the compact seems to not dislodge excess to get lost along the way. I would have given 5 stars - except that it is unsuitable for my skin tone. So I’m disappointed. I have to say that I love the actual blush, it's light, delicate, easy to apply and a lovely subtle soft color. My issue is with the new duo set, we just loose a lot of the 'real' color we want to add a hi-lighter, and the packaging... so much packaging for so little, there's a better way! ordered the pinker tone. like the dual colors for contouring the cheeks. 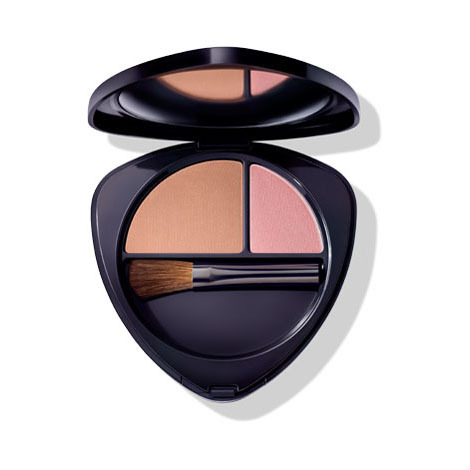 Preferred your "Old" blush with ONE COLOR in the round compact. Used it for seven years! Please bring it back. Soft and natural looking. Bends beautifully. I would definitely recommend. I love the color of the blush duo. The lighter shade is nice to blend with the darker shade and make my overall color more subtle. I have been using this blush for some time now. I like the blush, and that is all I use. I do not need the paler highlighter that comes with it and wish Dr. Hauschka still sold the older version that had only blush in the compact. For this reason I gave it only four stars. The darker color of the blush is perfect. I would prefer, however, a single color blush in the compact with more of the darker blush. Not really sure what the purpose is for the lighter shade. of pink and don't really use it. Miss the old blush and brush. I love your products, but when I bought this the first thing I noticed was how small the brush was; I therefore, saved and washed the brush from my prior compact. The color is great, but I have absolutely no use for the highlighter. Hope you change back to what you had. I have been a user for 15 years and always used the dark pink blush from the old product, when I finally ran out and had to order the new one #2, I was pleasantly surprised. The color made my cheeks look flushed and alive-great product. I simply mix both colors in the duo. I purchased a variety of colors for my sisters and my self and we were all very happy with the products. The colors are beautiful and compliment a variety of skin tones--- from olive and brown eyes and pale and blue eyes. This is a nice blush that has complimentary colors. Only downside is the small size...I think it'll run through pretty quick. Why isn't the whole compact filled with the blush? The perfect amount of shimmer and color. The duo helps adjust for seasonal changes in skin tone. This is my favorite and only-used blush, it's to subtle that it blends into skin's natural rosy look. I like using both colors for different looks, daytime and evening. The colors are lovely....I actually wear them as light eyeshadows and as blush so that I have some natural color to do errands before yoga. The portions seem small, but go a long way surprisingly. They aren’t messy like many blush products. A quick application and I feel ready. I have been wearing the Apricot and love the natural glow. It's perfect. My hair is a sandy blonde with highlights and my skin has a little natural color to it. I love the colors in this duo, as well as the way the blush feels on my skin. I do wish the brush was a bit larger and there was more of the highlight (main cheek) color vs, the contour color. Beautiful business from cheek to cheek. I love this blush. 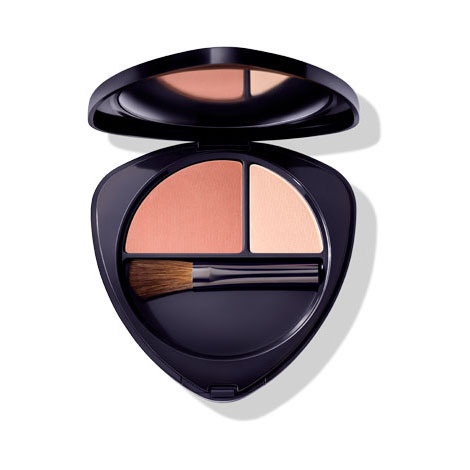 The colors are lovely and I like the way the colors compliment each other in one compact. 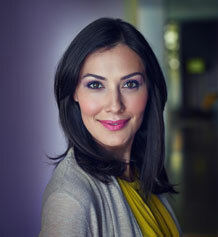 The blush wears well and it provides a great wash of color. Colour 01 Talc, Diatomaceous Earth (Solum Diatomeae), Kaolin, Magnesium Stearate, Anthyllis Vulneraria Extract, Caprylic/Capric Triglyceride, Hamamelis Virginiana (Witch Hazel) Bark/Leaf Extract, Silk (Serica) Powder, Silica, Mica, Salvia Officinalis (Sage) Leaf Extract, Camellia Sinensis Leaf Extract, Fragrance (Parfum)*, Citronellol*, Geraniol*, Linalool*, Citral*, Eugenol*, Carmine (CI 75470), Iron Oxides (CI 77491, CI 77492, CI 77499), Titanium Dioxide (CI 77891), Ultramarines (CI 77007). Colour 02 Talc, Mica, Kaolin, Magnesium Stearate, Caprylic/Capric Triglyceride, Diatomaceous Earth (Solum Diatomeae), Anthyllis Vulneraria Extract, Silk (Serica) Powder, Hamamelis Virginiana (Whitch Hazel) Bark/leaf Extract, Silica, Salvia Officinalis (Sage) Leaf Extract, Camellia Sinensis Leaf Extract, Fragrance (Parfum)*, Citronellol*, Geraniol*, Linalool*, Citral*, Eugenol*, Iron Oxides (CI 77491, CI 77492, CI 77499), Titanium Dioxide (CI 77891).